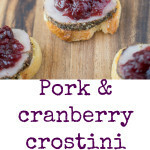 Pork and Cranberry Crostini. Tender roast pork tenderloin slices with sweet cranberry sauce and sage mustard mayo on crispy baguette slices. A VERY flavorful holiday appetizer. I’m going to be honest, I ate too many of these when I made them. Well, it was lunch time and I’m thinking, if you’re going to overeat that’s the best time to do it. The flavor combinations are so perfect. The herbaceousness of the pork, the creamy sage mustard mayo and the sweet cranberry all marry very well with the crispy baguette. This appetizer could not be easier and it’s customizable. You can use any leftover meat, beef, chicken, turkey that you have in the fridge, or, you make this recipe from scratch. 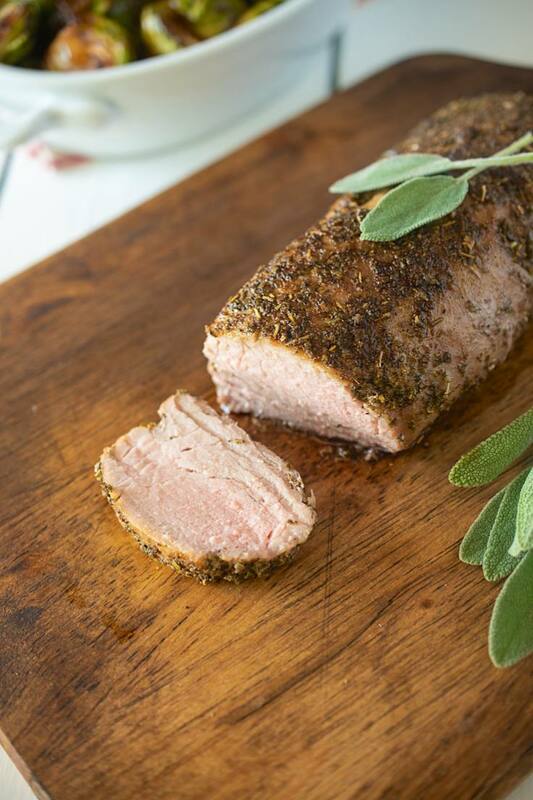 Simply rub a pork tenderloin with salt, lots of freshly ground black pepper and dried sage. Roast for 15 to 20 minutes in a 475 degrees F oven until the internal temperature reaches no less than 145 degrees F for medium rare and allow to cool. Easy, right? 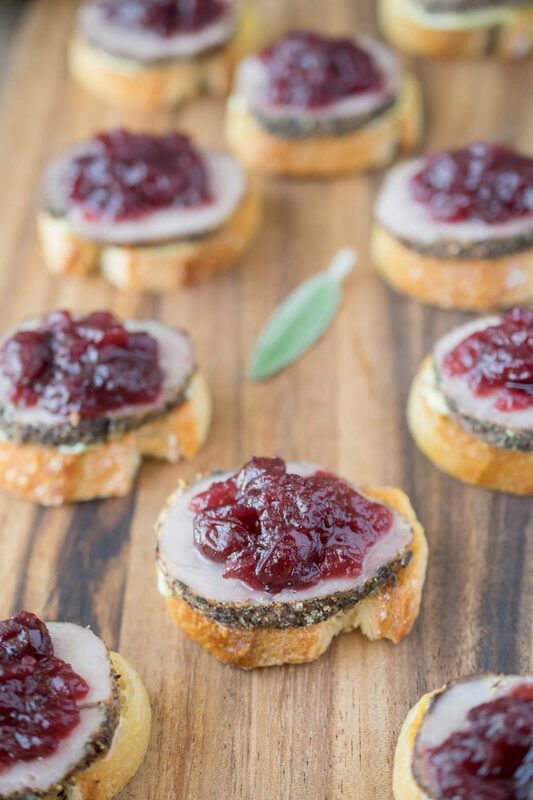 This crostini is perfect for holiday entertaining, last minute guests or a New Year’s Eve get together. Whatever your plans are this holiday, have a safe and happy one. If you’ve tried these Pork & Cranberry Crostini or any other recipe on the blog then don’t forget to rate the recipe and let me know how you got on in the comments below. I love to hear from my readers! You can also FOLLOW ME on FACEBOOK, TWITTER, INSTAGRAM and PINTEREST to see daily recipe updates. Tender roast pork tenderloin slices with sweet cranberry sauce, sage mustard on crispy baguette slices. To a small bowl add the mayonnaise, mustard, sage, salt and pepper, mix well, set aside. Spread the bread slices onto a baking sheet, drizzle with oil. Bake for 10 minutes until golden and crispy. Allow to cool. To the cooled bread slices, spread a little mayonnaise add a slice of pork and top with cranberry. 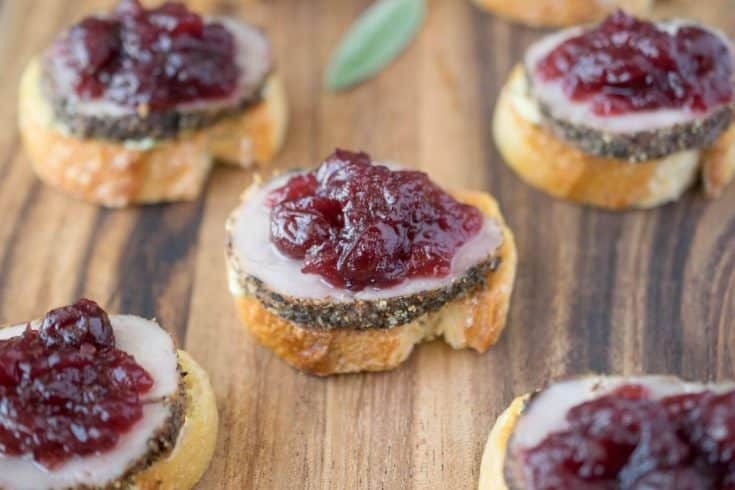 What a fun party nibble…and a great way to use up leftover cranberry sauce! I love cranberry and pork together …this is a gorgeous app! Perfect appetizers for the festive days we are now! This appetizer looks so flavorful and is great for entertaining. This is a very festive appetizer for the holidays. I love using cranberries whenever I can. Happy Holiday!! These pork crostinis look very gourmet and so deliciously perfect! So glad to see these beauties once again. Great reminder for my New Years Eve “to do” list. The simplest things can be the best, eh? I thought “LUNCH!” the minute I saw these! So creative, these look delicious! 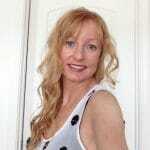 Happy Holidays Janette! So clever – a very seasonal crostini. I’ve been looking for simple ideas like this for NYE. Love it! Nothing better than a beautiful appetizer and the fact that it’s customizable is a plus. Fresh sage is such a wonderful addition. YUM! I love these! Very festive and fun. Cranberry sauce is so good on so many things, and people need to try it more. Yummers!